"When all these groups of resistance get together to defend Syrian soil and Syrian citizens, including the Lebanese resistance and the brothers who came from Iraq some of whom reproached me for not mentioning them by name, I take this opportunity to stress that there are brothers from Iraq to whom we give the same weight of any resistance fighter who came from any other country. There are also the families of resistance fighters who came from Iran and sacrificed their blood in Syria. We should put all these in the same basket next to the Syrian martyrs, fighters, and their families. To those I say that all the letters, the words, the sentences, and the whole of literature are much less than a single drop of blood. Therefore, words are of a much lesser value than what they have offered. What’s more important is what history will write about them." "It is natural, at the heart of the military battle, for the best and worst cases to be linked to the development of the military battle. If I say that the worst cases were when terrorists used to control a certain area, this is self-evident, but it is related more to specific battles, particularly when the area is strategic or the city is big with a large population. Consequently, the impact will be much greater psychologically and in terms of morale. But there was an ongoing situation which we are still living and we must think about: when a martyr or a group of martyrs fall, and this is ongoing on a weekly basis for us, we must think that a family lost a dear one who cannot be compensated. He might be compensated by achieving victory at a certain stage, but on the family, psychological and human level, you cannot compensate a dear one lost to a certain family, or maybe a friend. This is a very painful situation which we have lived and continue to live. This will not stop until the war itself stops. But there were painful cases at the beginning of the war, when you see this huge lack of patriotism. They were perhaps a minority, but a large minority, of individuals who were prepared to sell the homeland and trade it together with their principles, if they had ones, in return for money or a certain interest, in addition to a certain percentage of extremism." "Thanks to the army's heroic deeds, the blood of our martyrs and the cohesion of our people we managed to keep steadfast and achieve many gains." President Assad's Army Day Word, August 1, 2017. 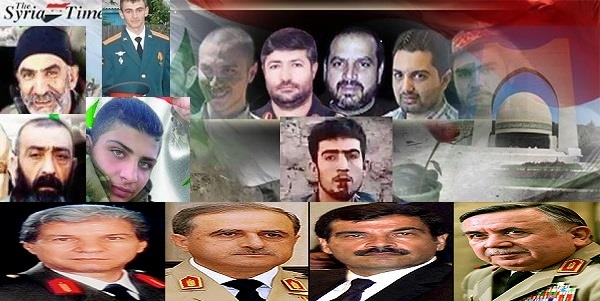 "Our valiant heroes…we kept steadfast and achieved many gains thanks to your heroic deeds, sacrifices, and wounds, thanks to our people's cohesion and support for the their army in defense of the homeland and thanks to our martyrs' blood that purified Syria's soil from the dirtiness of aggressors,"
" Our trust in you, the sons and daughters of the martyrs, is immense; your fathers did sacrifice their souls for Syria and surely you are able, through your study and excellence, to provide Syria with distinction,"
H.E. President Bashar Al-Assad addressing the sons and daughters of Syrian Martyrs in preparations for their high school exams, May 29, 2017. "The battles of our hero army against the terrorist groups are writing history and the heroic deeds and sacrifices of our brave soldiers are the key factor that preserved Syria and helped it withstand the ongoing heinous war, "
"The steadfastness of the families of the Syrian Arab Army's fighters has played a basic role in strengthening the determination of their sons to eliminate the terrorists." "But we as Syrians, as officials and citizens, derive our power from the families of the martyrs and the injured in Syria, because they have paid the highest price; but in return they continue to say that they offer that for the sake of the homeland. There is no doubt that the morale of these families allows you to work and to continue to give your best in order to solve the problem." "We live this situation every day and every hour. When you receive news about an innocent person being killed or injured, or when a martyr falls in battle. Regardless of the way this person fell, you need to think first of all about what’s happening, what happened to his family emotionally, in terms of their livelihood, or in any other area that the family will live for long years in a state of sadness. This issue affects us as Syrians on a daily basis, and it is really and genuinely painful." "This victory would not have been possible without the blood of our martyrs, our wounded soldiers and their patient and steadfast families; without them we would not have been able to protect the country, the constitution, the law, the institutions and consequently Syria’s sovereignty. Without all of them, we would not be here today. They have taught us, and will continue to teach us the meaning of heroism, sacrifice and standing our ground. From them, we take strength and determination; our homeland was resilient because of their greatness and patriotism. 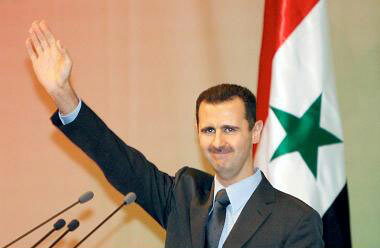 They have fortified the whole country with their blood, and unified the pains and hopes of Syrians with their wounds. With their heroism, they have given the greatest meaning to power and tenacity and for that we will be forever grateful and will spare no effort to return even a small part of the debt we owe to these soldiers, their families and children." From H. E. President Bashar Al-Assad's July 16, 2014 speech. "A people like you, who have fought, resisted and stood fast in a country which has been exposed to an aggression unparalleled in its ferocity, is worthy of respect and appreciation, worthy of their homeland, history and civilization. You have restored the true meaning of the word revolution and proved that Syrians live honourably and die as martyrs honourably, that their dignity is more important than life itself and that their faith in God is fully intertwined with their faith in the nation, its land and people." " The Syrian martyrs, martyrs families, and the Syrians at large, who embody through their cohesiveness and integration with the Army a unique example for national unity, amity and fraternity." 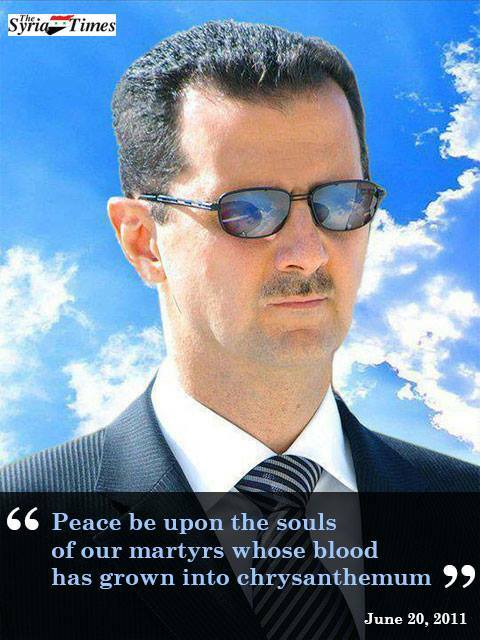 From H. E. President Bashar Al-Assad's August 1, 2013 speech.
" The blood of martyrs protected and will protect the homeland and the region, and will protect our territorial integrity and reinforce accord among us, while at the same time purify our society of disloyalty and treason, and keep us from moral, human and cultural downfall, which is the strongest victory. When the homeland triumphs, it does not forget those who sacrificed for its sake." 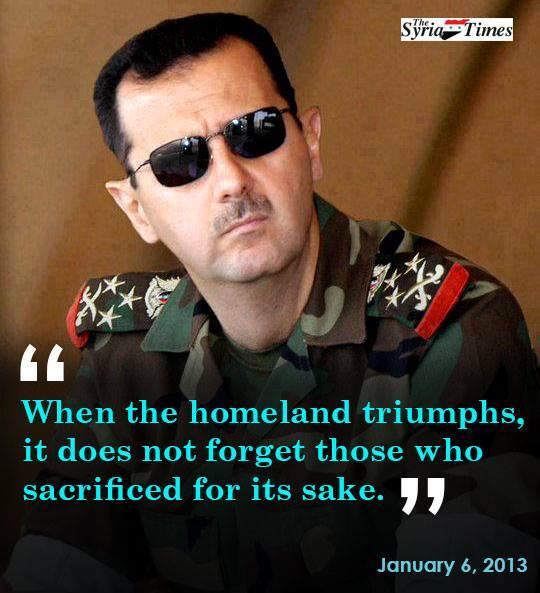 From H. E. President Bashar Al-Assad's January 6th, 2013 speech. "I know as you all know that what the homeland is going through is painful and difficult, and I feel the pain which is felt by most of the Syrian people over the loss of loved ones and the martyrdom of sons and relatives as the fire of the grudge has reached everyone, the pure coffins of the martyrs have entered the houses of many and I am one of them because I come from the people and will remain so. 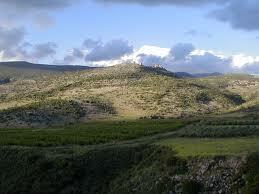 Offices of state and government are transient but the homeland is everlasting. The tears of bereaved mothers will refresh the pure souls of their departed loved ones and burn the criminals, who stole the laugh of our children and here they are trying to steal their future in a safe, strong and stable country." 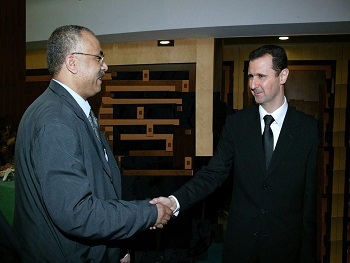 From H. E. President Bashar Al-Assad's January 6th, 2013. "At the beginning of this legislative course, we remember brothers of ours who should have been with us under the roof of this parliament taking part in this great national workshop, but the bullets of treachery prevented them from doing so. They fell martyrs merely because they were determined to shoulder national responsibility by putting themselves forward as candidates for the elections of the People's Assembly; and so they haven't been able to share with us this historic day." From H. E. President Bashar Al-Assad's June 04, 2012 speech. "In respect for their souls and the souls of all innocent civilian martyrs and military martyrs who fell since the early days of these events, we stand with great veneration and send their families our love and say to them that their blood was not spilled in vain. I am not saying this to indicate seeking revenge but in terms of upholding right because a right is never forgotten unless it is forfeited by its owner." "Our only solace – and here I'm not only offering condolences to their families; I am rather talking about the larger Syrian family – is that our country will be once again sound and healthy and that the children of this homeland will enjoy security, peace and stability." "On the other hand, there are those like the families of the martyrs, their children, brothers and sisters whom I have met. The martyrs fell not in battle; they were not members of the army or the police. They were killed by mistake somewhere. They told me personally, or told others, that the condition of the homeland is a priority and that the cause of the homeland is more important than our personal causes. We will talk about our personal causes when we overcome this crisis. These are patriotic people, and most of the Syrian people are like them. 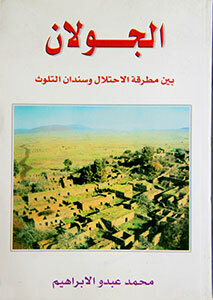 That's why we should promote this condition in order not to confuse the small errors with the big challenges." "As for our martyrs’ blood which is behind the steadfastness of our country, it will always be the lightship that will light the road of our next generations to build the future Syria. Because when their blood waters the land, it will make it bear the fruits of a more secure tomorrow, unity and freedom for us all. As for the strength of their families who lost their dearest people, it has made us firmer and more determined and persistent in following on the same road which was taken by their brothers, fathers, and sons in defense of their country and its values, no matter how expensive the price is and to be as an example for all of us on how an individual dies in order for the country to live." From H. E. President Bashar Al-Assad's January 10, 2012 speech. "Peace be upon you, upon all those who are protecting this dear and precious homeland. Peace be upon the people, the army, the security forces and all those who have been working to insure the prevention of sedition; burying it in the detestable snake holes where it belongs." From H. E. President Bashar Al-Assad's June 20, 2011 speech.
" Peace be upon every mother who has lost a dear son, on every child who lost a father, on every family that lost a beloved one." " Peace be upon the souls of our martyrs whose blood has grown into chrysanthemum in the spring and summer when the seasons of flowering and fruition have been replaced by seasons of conspiracy and killing." " But even season of conspiracy gives flowers in Syria. They bloom into pride and impregnability." " You have always manifested the willingness to join the convoys of the Martyrs, sacrificing every dear and expensive for the carrying out of your sacred duty, and to the best of performance. " From H. E. President Bashar Al-Assad's August 1, 2009 speech. Yet, the question is: will the blood of the martyrs and civilians be lost without any gain? As a bottom line, we have to change the military victory into a political victory, at least in the peace process." 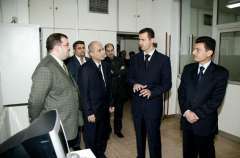 From H. E. President Bashar Al-Assad's August 15, 2006 speech. 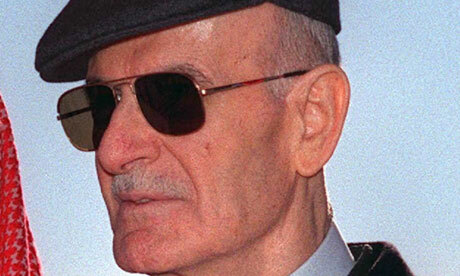 "I express my appreciation and admiration to the men of resistance; I salute with great reverence our noble martyrs and I salute the brotherly Lebanese people whose steadfastness was the incubator of this resistance." "All our love and appreciation to the members of our glorious army and our high respect and loyalty to the innocent martyrs who fell in battles of honor and duty. I shall not forget to mention our brave people on the Golan who cling tenaciously to their country and their Arab nationality rejecting Zionist existence in all its forms and we say to them we are with you and our steadfastness together is the guarantee that our land will be liberated." From H. E. President Bashar Al-Assad's July 17, 2000 speech. "Martyrs are the most generous people and the noblest of all men." "The generous will be always prosperous. Memories of noble martyrs are eternally etched in our hearts and minds and their families will remain the focal point of our attention. We solemnly pledge to them that our path is either martyrdom or victory." 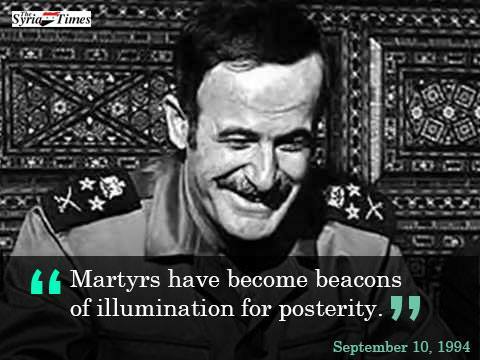 From H. E. the Late President Hafez Al-Assad's Army Day speech, August 1, 1999. When outshining in your studies you are faithful to yourselves, your country, and your fathers who sacrificed their lives for their nation. Therefore, if you want to pay tribute to the martyrs, the best honor is to outclass in your education to reach a level where you will be able to serve this country and achieving what we have not achieved so far. 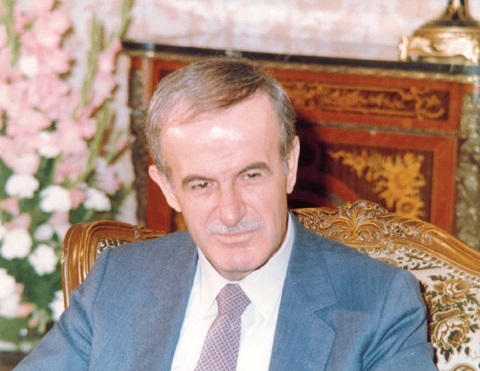 President Hafez al-Assad also said that the future may be more difficult than present and past. We are facing challenges, and meeting challenges needs efficiency, sincerity, determination, and courage. We must all enjoy those qualities. I believe that your fathers if they now see their children, they would have been proud and reassured. I have said this earlier and repeat it today: martyrs are saints. I now remember moments experienced in 1982 war, when Israel entered into Lebanon and moved in close to Syrian frontiers; that day I gave a directive to our valiant combatants calling them to be courageous with a highly sacrificing spirit, telling our dear fighters You will not precede me when I find the right moment to do what I demand from you, since we are all invited to bravery and sacrifice spirit when our homeland is calling us. The President has expressed his great pleasance to meet martyrs’ sons and daughters, coming from all parts of the country, young and old, undergraduates and graduates; “ I am really thrilled to hear from your success and brilliance in your studies and I will not stop offering all study rudiments to ensure your success, progress, and excellence in serving the nation." 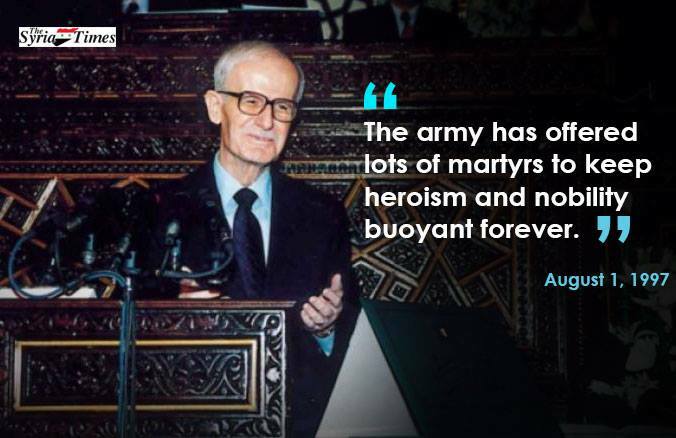 From President Hafez Al-Assad speech at the luncheon held in martyrs’ sons and daughters honor by his Excellency, at the People's Palace, May 7, 1999.